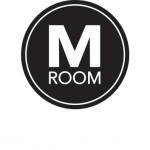 M Room offers you a chance to become a franchisee of a concept that has been working for over a decade and provides services and exclusive products through a M Room – More than a Barber men’s grooming concept. Apply now and make a change, grooming is booming! 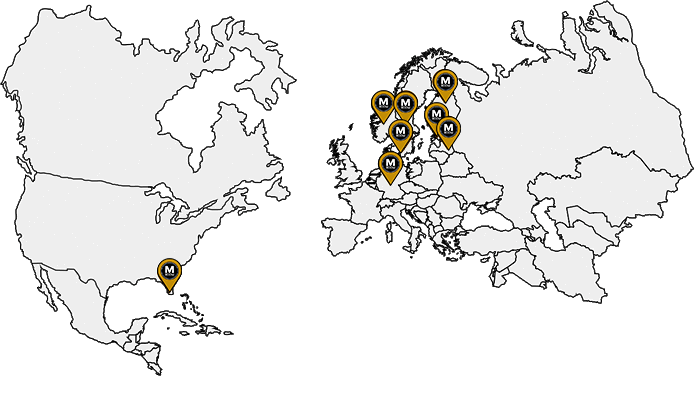 M Room® is the biggest men’s barber chain in Europe with more than 75 shops in eight countries. M Room was established in 2008 in Finland by two of the world’s best barbers and it portrays an inspiring success story in the field of franchising.  M Room offers an unforgettable experience of high quality Men’s grooming services, combined with a unique membership model, high quality products and modern customer experience. We have been an expert and a pioneer in men’s styling for a decade, and this will continue. 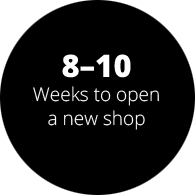 Our membership concept has been built in cooperation with our customers to make visiting the barber easier, quicker and better. Our customer promise is the outcome of our superior grooming experience: the best version of you. One of M Room’s absolute strengths is having its own product lines, sold exclusively through M Room channels. Manufactured in Finland. We appreciate the time of our customers, hence M Room services are always available with little or no wait at all. M Room was established in 2008 in Finland by two of the world’s best barbers and it portrays an inspiring success story in the field of franchising. In 1998 Petri Sipiläinen and Toni Kylätasku took part in the barbers world championship in Soul. During the long competition days this pair had time to think about men as clients in traditional hair salons.They noticed that instead of being potential customers over the years, men had become more like a pain in the neck. Men could no longer get proper service in the industry where salons were fully designed to respond to women’s needs as clients. Petri and Toni knew that making an appointment was complicated especially for men and time for even a quick trim was almost impossible to get just by walking into the salon. Offering traditional barber services was left in the hands of few professionals and getting a haircut had become forced and just a necessary thing for men.The need for a provider of traditional barber services was clear. Our most important value is the customer-oriented approach, which shows in everything we do. M Room’s service offering and the exclusive M Room product lines are both improved entirely by customers wants and needs. As a matter of fact the idea of annual membership came from one of Toni’s regular customers. Men as customers are looking for an effortless and simple service without planning it beforehand. Our job as a provider of barber services is to make sure that every visit in M Room turns out to be a memorable and effortless experience. M Room franchise chain is led by the Franchisor M Company Oy (Ltd.) located in Helsinki, Finland. For more information about franchising: www.eff-franchise.com, www.franchising.fi or search for your local franchise association. 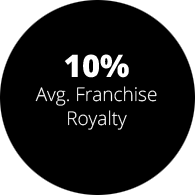 It’s easy being a franchisee because M Room provides you the tools, education and support. Knowledge of hair or beauty segment is not required. Can be started in most of the European countries with sustainable economic environment. The estimated EBIT for the investment is set to be way over average in the industry. A M Room Franchisee will learn everything about the concept and will be supported in global chain marketing, sales, business and growth strategy, training, concept material and the support of a global brand. M Room Franchise is managed from Helsinki, Finland. The HQ are responsible for M Room Brand management, franchise systems and global brand marketing. In case you are interested becoming an M Room Franchisee, please don’t hesitate to contact us! M Room is constantly looking for new Franchisees and Master Franchisees all around the world. There are currently over 75 locations in 8 countries. Could you be the next one to take on the M Room path? Please leave your contact details and we will reach out to you soon. 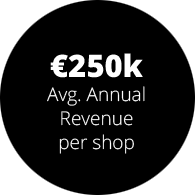 Q: What do I need to be able to start as a M Room Franchisee? A: As a M Room Franchisee you are someone with good communication skills, enthusiastic and are determined to execute a goal you are pursuing. You should have good knowledge about the location you are thinking about and do active networking. You should also have the possibility to attend mandatory training held before starting as a franchisee/master franchisee. Q: Do I need to be a barber or know anything about the hair industry? A: You don’t necessarily need to know anything about men’s grooming or the hair industry, depending on your role in the business. In case you are looking for a single-unit franchise, you should be able to work in the shop as a barber. As a multi-unit franchisee or as a master franchisee you need to have leadership and business management skills. 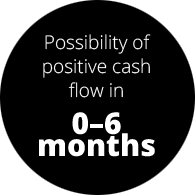 Q: How much capital do I need to start? 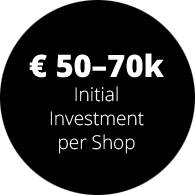 A: To open one M Room shop you need to have a €50-70k capital to invest, depending also on local renovation and deposit payments. The total amount of investment then depends on the area and contract you are looking for. A: We offer financing opportunities through third parties. Please contact us in order to find out if there currently is a financing opportunity in your area. Var den första att motta de senaste trendtipsen och produktrekommendationerna samt de hetaste nyheterna rakt i din e-post- registrera dig på mailinglistan till vårt nyhetsbrev nu!